Marion Michell is a London-based visual artist and writer who holds a first-class degree from Central St. Martins and has exhibited internationally. Born and raised in Germany, she moves between languages and media. 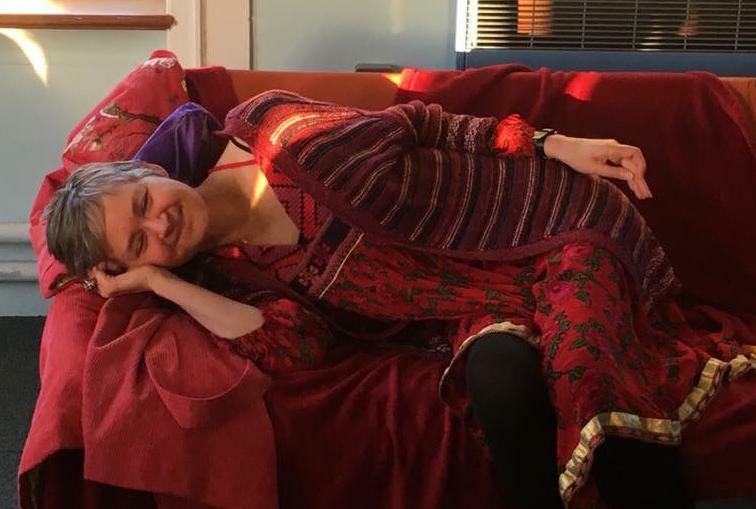 In 2016, Palewell Press published Marion's collection of short prose, Supinely Sublimely, in which she writes about the challenges of living with ME (Myalgic Encephalomyelitis). Also available on Kindle, her collection has proved very helpful to other people with that neurological condition. Marion was a prize-winner in the 2016 #MillionsMissing poetry-contest organised by the #ME-Action Network (based in the US) and in the flash competition fiction and non-fiction of Berlin's English Literary Journal SAND (issue 12, October 2015). In 2018, her prose piece Word of Moth will appear in Unbroken Journal, which publishes prose poetry.